Salt air and flowers are featured in this new beach cottage painting. 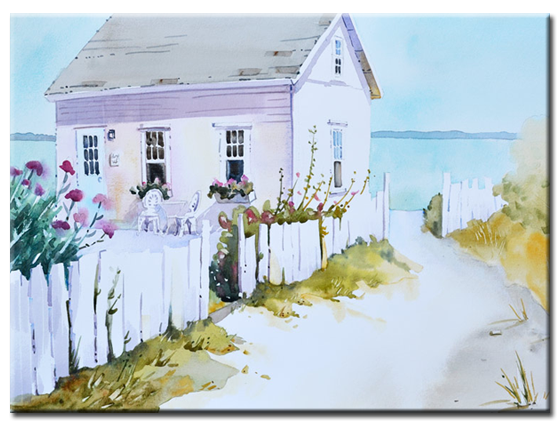 Beach cottage painting features flowers and a white picket fence for an island retreat in this new original painting. 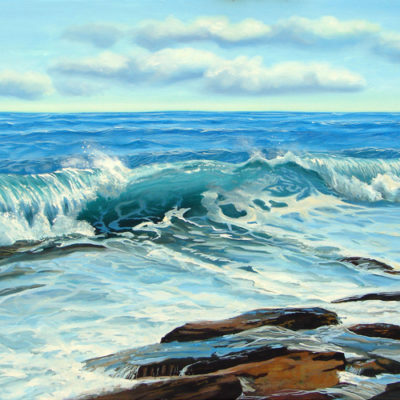 Inspiration for this piece came from Block Island off the coast of Rhode Island. Open windows catch the salt air as it comes across the bay. You can almost smell the floral scent floating on the ocean breeze. Cute window boxes filled with flowers adorn the front of this coastal beach cottage. This original painting is 16″ x 20″ on watercolor paper. 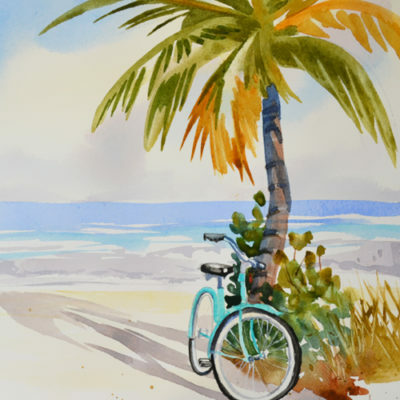 This island retreat painting is perfect for the summer season. Available. 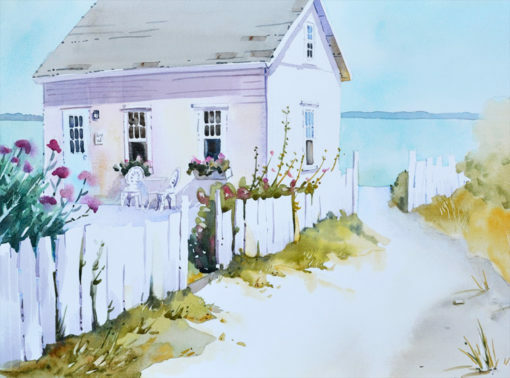 Artist’s Notes: This beach cottage painting is an original work of art by PJ Cook. Original watercolor is 16″ x 20″ size. Professional materials used throughout. Signed by the artist front and back. If you are in CT area this painting can be delivered, otherwise it can be shipped. 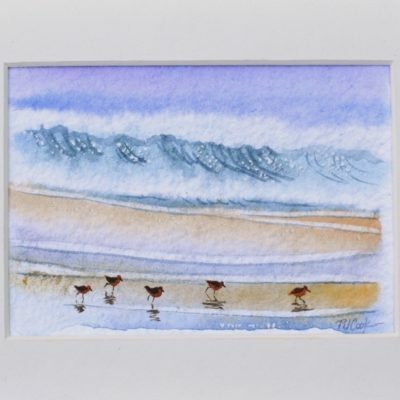 Can be purchased with a quality mat and picture frame, contact for details. Thank you for your interest in my original art and please contact me with any questions.